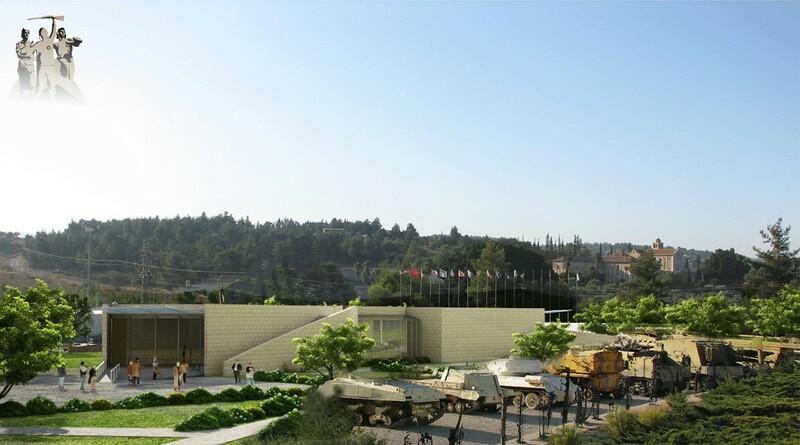 The Association for the Establishment of the Museum of the Jewish Soldier in World War II, is building the Museum of the Jewish Soldier in World War II, in order to tell the important and neglected chapter in the history of Jewish people, the story of the Heroism alongside the Holocaust. The contribution of the Jewish soldiers to defeat of the Nazi regime and its threat to the existence of the Jewish people. The museum will honor the 1,500,000 Jewish men and women who were drafted into or volunteered for the armed forces of the Allies, the Partisans and underground movements, and will commemorate the 250,000 Jewish soldiers who gave their lives during the War. The museum is built in Latrun, on the main road between Tel-Aviv to Jerusalem, it will be a ‘state-of-the-art’ facility, a unique site of its kind in the world, a magnet for visitors and researchers and features an exhibition center that will tell the story of the Jewish fighter in World War II, a learning and information center, a place for research an archive and more. 1. The foyer and convergence -.An Introduction to the War and the Jewish Soldier, will introduce to the visitor, the subject, the atmosphere of war and the figure of the Jewish soldier. The armies of the countries represented in this division: Poland, Netherlands, Belgium, Norway, France, Britain, Yugoslavia, Greece, Czechoslovakia, Australia, New Zealand, Canada, South Africa, India. The systems: Poland, Scandinavia, the Low Countries and France, the battles over Britain and the Atlantic Ocean, North and East Africa and the Balkans. The armies: the Soviet Union and other armies under the command of the Red Army. The campaigns: the invasion to the Soviet Union, Moscow, Stalingrad, Leningrad, Kursk, the liberation of Belarus, the liberation of the death camps, Eastern Europe and the occupation of Berlin and more. Joining the US into the war turns the war into a world war. The armies: USA, Canada, UK, Australia, New Zealand, South Africa, Brazil, China, India, France, Poland, Czechoslovakia, Norway, Belgium, Netherlands. Jewish fighters in unorganized frameworks: ghetto fighters, partisan activity in Eastern Europe, Central Europe and the Balkans. Actions by underground fighters in Western Europe and North Africa. Dealing with the uprooting, the illegal immigration, the preparations and the struggle for independence, the contribution of theVolunteers from “Eretz Israel”, the "Gachal" and the "Machal" to the War of Independence, the establishment of the state of Israel. Temporary exhibitions - on the subject of Jewish fighters in World War II. Research and Study Center - which includes computerized archive, library and workstations. Conference Hall - auditorium / classrooms - for a briefing and discussion. Administrative area - will include conference room, offices, machinery room, shop and snack bar, services and storage. The total area of the museum is approximately 2200 square meters.